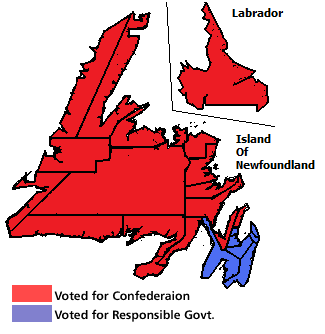 Description: Electoral boundaries and results of the Newfoundland referendum, 1948. Based on data from map [http://www.heritage.nf.ca/law/ref1map.html. This page was last modified on 19 April 2017, at 19:20.